Oftentimes, a divorce will be among the most mentally, emotionally, and financially draining situations a family can go through. Two people severing their lives together is complicated and destructive by nature, and even an amicable split can turn contentious quickly over any number of issues. One of the biggest issues in any divorce proceeding is the matter of child custody and the determination of whether one parent will have sole physical and/or legal custody or if there will be a joint custody arrangement. These proceedings are usually emotionally damaging to all parties, including the children, for a variety of reasons. The silver lining is that there are numerous resources available that can help a family going through a divorce make the process as manageable as possible. While a therapist may not be the first thing that comes to mind for people when contemplating a divorce, a lawyer usually is, with good reason: the intricacies of Missouri’s child custody laws can prove troubling for the unrepresented, in part because of the many determining factors that play into the final decision. It’s important to get help from a divorce attorney Springfield MO expert. Ultimately, Missouri courts will consider all of the above factors and then choose one of five outcomes that would best serve the interests of the children. Physical custody is the right of a parent to have the child spend time with that parent whereas legal custody means a parent has the legal authority to make decisions on the child’s behalf regarding education, health, and upbringing. In an amicable separation, joint custody will often be ordered, but a contentious divorce can make determining custody a ferocious battle. In those cases, any of the factors Missouri looks at when considering what’s best for the children can prove pivotal in determining the rights of each parent; that’s why retaining a child custody lawyer is of paramount importance when undergoing a divorce involving children or in a modification of a parenting plan. In child custody proceedings, it’s necessary to have a lawyer who understands the factors the court must consider, how to advocate for each of those factors, and how to present evidence concerning those factors. Qualified and responsive child custody lawyers in Springfield, MO, can also help clients work through issues like visitation, interstate custody, parenting agreements, and more. In determining which child custody lawyer to have represented him or her, a parent should consider hiring a family law attorney with experience in the field and who they feel comfortable with as divorce and custody proceedings are among the most deeply personal and trying of all court cases. 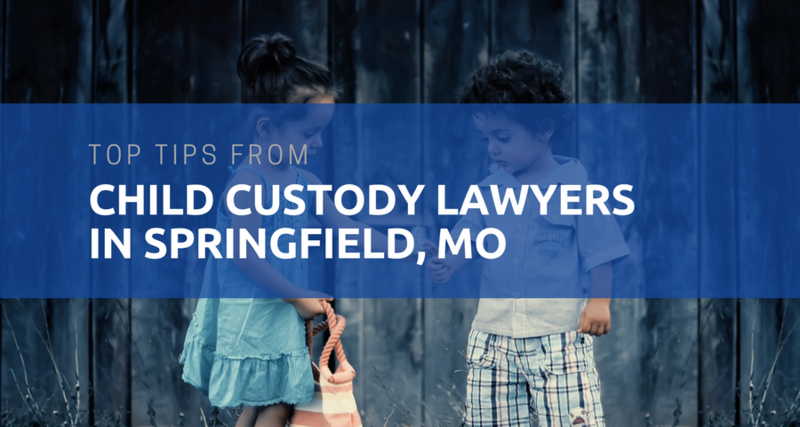 The source of the following information is the Missouri Courts, who provide detailed information on the process of a petition for child custody in Springfield, MO or any city in the state. In addition to this page, they also provide a dedicated page where you’ll find all the forms associated with a petition for child custody in Springfield, MO. As you’ll see, the process for a petition for child custody in Springfield, MO can be difficult to fully understand by yourself. It’s long, complicated and during a separation can be difficult to fully manage. These reasons are often why individuals choose to hire child custody lawyers in Springfield, MO like Summer Masterson-Goethals. Having child custody lawyers in Springfield, MO on your side, helping you through every step of the process can be an amazing resource during a terribly stressful time and help you obtain the best outcome possible. The Petition for Child Custody in Missouri (CAFC201) is a petition to use in the special circumstance where the requirements for the establishment of paternity have been met under Missouri law but no custody order (Parenting Plan) is in place. Step 2.) Download and complete the forms in the petition for child custody packet available from the Petition for Child Custody Forms page. Step 3.) File the required paperwork with the court that entered the order establishing paternity of the child (this is the court that has “continuing jurisdiction,” the authority to enter custody orders involving this child). Make an original and two copies of the Petition for Child Custody (CAFC201). Trusted child custody lawyers in Springfield, MO will help take care of this for you. One will be placed in a court file, one will be used to notify the other parent, and one will be file stamped and returned to you. There are filing fees connected with filing this petition. Use the “Find a Court” search feature to find contact information for the circuit clerk’s office for the amount due and method of payment. If you cannot afford the court filing fee, inquire about filing an application to have the fee waived, which is called In Forma Pauperis (in the manner of a poor person). You will be asked to provide the court with detailed financial information under oath so a judge can decide if you are eligible for a waiver. Step 4.) The court clerk will prepare a “summons” to be served on the other parent. The sheriff or another court officer hand deliver the petition and the summons. It is important to provide the court with very specific information about where, how and when to find the other parent. A special or private process server may be appointed by the court when it is difficult to find a person or if a person is trying to avoid being served. Your child custody lawyers in Springfield, MO will help you understand every part of this process. Step 5.) After the other parent has been served and given 30 days to file a response, your case may be set for a hearing before a judge or commissioner. If the other parent does not file an answer or appear in court, that person is considered “in default.” Your child custody lawyers in Springfield, MO will explain that the court is not required to give that person notice of future hearings. The case may be decided without a person in default taking part. Use the “Find a Court” search feature to find contact information for the circuit clerk’s office and ask about the method for scheduling a hearing. Step 6.) You may be required to attend a parent orientation program before the case moves forward. Information about the program may be provided to you at the time you file your paperwork with the circuit clerk. Responsive child custody lawyers in Springfield, MO will help you use the “Find a Court” search feature to find contact information for the circuit clerk’s office if you are unsure if this is a requirement in your case. Step 7.) If the parent files an answer or appears in court, you may be referred to mediation to discuss the parenting plan. It is best for all concerned if both parents can agree on a parenting plan. Summer Masterson-Goethals is a certified mediation and conflict resolution specialist and can be especially useful as both a child custody lawyer in Springfield, MO and a mediator. Where domestic violence is occurring, however, mediation may not be appropriate. It is important to inform the court if this is your situation. When parents agree about some or all of the parenting plan issues, they can submit a joint plan to the court for approval. Judges appreciate the time and efforts parent take to develop a parenting plan and will approve agreements that are in the best interest of the child. Step 8.) A pre-trial hearing may be scheduled so the judge or commissioner may review matters that need attention before the final hearing. At the final hearing (trial), the judge or commissioner will hear evidence and decide the case. If your case is contested, you will have to prove your case with evidence during the hearing. This may include your testimony, testimony of witnesses, documents and exhibits. You have the right to get information before the hearing about other witnesses who will testify and copies of documents that will be used. The process for finding out this information is called “discovery.” Discovery has time limits and usually is completed before the case is set for the hearing. The discovery process and admission of evidence is complicated. You should consult a lawyer if these issues are involved in your case. Step 9.) The decision of the judge or commissioner is written up as a “judgment,” which will be signed by the judge or commissioner. Courts usually ask a party, like child custody lawyers in Springfield, MO, in the case to write up the judgment. If your case is contested you probably will need the assistance of a lawyer to draft the judgment. One of the most underutilized ways a family can help cope with the stress and trauma of a divorce is through working with a counselor or therapist who focuses their practice on helping families through crisis. We spoke with a number of counselors in Springfield and nationwide to better understand how families benefit from therapy during a divorce with child custody issues. While many couples turn to therapy and marriage counseling to attempt to save a failing marriage, an accredited and experienced therapist can also be instrumental in helping a family transition through a divorce as constructively as possible. Aside from helping each individual parent deal with the various emotions that can result from a divorce (grief, anxiety, fear, depression, etc…), a therapist can help both parents learn to communicate effectively with their children about the separation and the future. Divorce therapy can also help the separating couple achieve the desired split with minimal hostility or emotional damage by teaching them the best ways in which to go about the dissolution the marriage and helping them address the pertinent issues afterward, like the responsibilities of all parties involved. A therapist isn’t only helpful for the parents going through a divorce though; a therapist can often be necessary for the children of divorce. Parents in the middle of a split, especially an acrimonious one, can sometimes be consumed by their own struggles and overlook the emotional needs of their children. 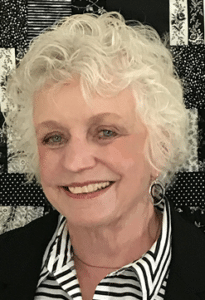 Robin Pummill, a licensed professional counselor in Springfield, MO, possesses significant experience providing counseling to families undergoing divorce and child custody proceedings. Pummill explained some of the dynamics happening within a family during a divorce. “During the the separation and divorce process children can feel “new” feelings that may not be recognized by the parents as they are dealing with their own pain such as shock, denial, avoidance and being overwhelmed. So many changes occur and the routine for children is interrupted by possible sudden moves, new sleeping arrangements, items left behind, not seeing the other parent, and new school. Kids are tough, but if divorces aren’t handled properly, it can lead to problems for the children as they continue to develop. Although children won’t be present for much of the court and legal proceedings, they will still be affected by the situation. “Children can be very resilient and adapt as life is about change when a divorce occurs. 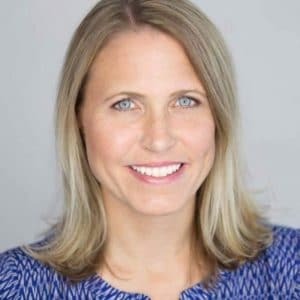 How the process is handled with children can have a major impact later on as negative feelings can create negative behaviors as result of child’s needs not being recognized or met,” Ms. Pummill continued. Divorces are especially troubling because children are often less able to understand or functionally cope with the emotional trauma. Children may be confused about the divorce, blame themselves, fear for their future, or struggle with feelings of abandonment and betrayal. Navigating these various issues is key to making sure all parties come out of the divorce in the best possible manner and a professional therapist can be a useful tool in ensuring that outcome. Ms. Pummill explained that “communication from parents and therapist to the child can increase a sense of safety that they have not been forgotten and also offer a listening ear to “just talk” through the painful process of divorce. In Springfield, MO, there are numerous therapists who specialize in child custody and would be willing to help you. Psychology Today is a well-respected industry magazine and publishes a directory of child custody therapists in Springfield, MO, that you can view for free. Prior to beginning Masterson Law, LLC, Summer worked as an attorney for numerous years at Legal Services of Southern Missouri, an organization that provides free legal assistance to low-income individuals in the following areas: family law, consumer law, domestic/sexual violence, elder law, individual rights, income maintenance, public benefits, and wills/guardianships. You can now contact Summer here on her website. If you are not in the southern Missouri region, please visit the existing pro bono programs in Missouri page available through the Office of State Courts Administrator. Or, you may contact Summer Masterson-Goethals, a divorce lawyer Springfield MO, who can help point you in the right direction. For issues of child support that may involve the Missouri Department of Social Services, you may find their page on Child Support helpful. This page has lots of information on issues like establishing paternity, information for reserve and national guard soldiers, employment opportunities, applications for child support services, payment affidavits, and much more. The Association of Missouri Mediators is an educational and networking organization who publishes a list of mediators all over the state of Missouri. In conjunction with a child custody lawyers in Springfield, MO, a mediator can be helpful to determine elements of the child custody arrangement that will be solved outside the courts. Summer Masterson-Goethals is a certified mediator and conflict resolution specialist. If there is an investigation into abuse in the child custody case, the Child Advocacy Center, Inc., could be a great group to contact. They provide children with two main services – Forensic Interviews and Sexual Assault Forensic Exams. The evidence and information gathered are then shared with a “team” of law enforcement officials, Children’s Division investigators, juvenile officers and more. The National Center for Fathering is an organization whose long-term goal is to have an actively engaged father or father figure in the life of every child. Parents Without Partners is the largest, international, nonprofit membership organization devoted to the welfare and interests of single parents and their children. Working with child custody lawyers in Springfield, MO can help single parents obtain the best legal results, but Parents Without Parents is a social resource that can be very helpful. In the end, divorce and child custody proceedings are made much easier by obtaining competent and experienced representation to help you navigate the process. Working with a therapist can provide a map for how to emotional struggle involved in the process, hiring trusted child custody lawyers in Springfield, MO can take away much of the stress and difficulty of navigating the system, and relying on the numerous other resources and support systems available can ease the emotional burden that often comes with such proceedings. So, while divorce and custody proceedings can often be extremely emotionally taxing, if handled properly, even the most contentious of separations can be managed. If you’re interested in this reading more about this topic, Texas family law attorney Bryan Fagan’s article “Mistakes to avoid making in your child custody case,” is a good choice.